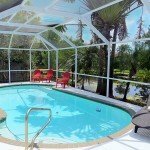 Anna Maria Island – Bradenton: Over the past few years the vacation rental market in Bradenton / Sarasota has attracted a lot of attention. There are not many resorts around Anna Maria Island / Bradenton, so Condos and Single Family homes get rented short term more frequently. In addition, Florida has become a premier summer destination, so we now we have tourist season almost year around. Since the Anna Maria Island / Bradenton area has the whitest sandy beaches and plenty of sunshine, it is the best spot for outdoor activities. Baby boomers are luring for retirement over the next 2 decades giving high level of certainty about an increase in population. So we are often asked by visitors and existing property owners whether they should buy property for an annual rental investment or a vacation rental investment. You can use if for yourself while you are here and get a pretty good return for your hobby. You have something to be proud of, show pictures and feel good. Your own nice place in Florida. It also might have some – let’s call it – beneficial tax consequences. Due to demand, we founded our own vacation rental subsidy, Anna Maria Island Real Estate LLC, Suncoast Vacation, which just handles Vacation Rentals. This is an exclusive service just for our Sea to Sky Realty sale’s clients. Sometimes we make exceptions if a property fits perfectly into our portfolio, but we don’t go for masses. Feel free to ask! With our service, you don’t have to worry about management, answering inquiries, meeting and greeting guests, filing sales and tourist tax returns, answering maintenance calls 24/7 and cleaning up after guests depart. The ROI depends on the amount of your own usage, whether you block dates in advance or if you jump on vacancies. And we have seen occupancy of more than 300 days / annually for some properties in the past. In West Bradenton on the mainland, not just Island. For a fully rented single family home, we calculate ROI of 5 to 8% annually plus any potential appreciation in value over years. Usually, we reach about 70 to 80% of that occupancy after 1 year in our program. Of course depending on your flexibility of self-usage. The most import factor for a good ROI is rentability. We always recommend having no rental restrictions in place. This can be tough with Condos on the mainland since most communities – unfortunately – have these kinds of restrictions. Shorewalk (see for sale listings for Shorewalk here) can be named the premier exception. On Anna Maria Island, Runaway Bay Condos (see for sale listings for Runaway Bay Condos) is the hot spot when it comes to vacation rentals. You might be equally or better off with Single family homes outside any deed restricted communities in the West Bradenton area. The investment budget for SFR needs to higher, but so will be the return. On the Island, it depends heavily on the actual Community, City and zoning. This needs to be discussed on a community / specific property basis. Generally speaking, a single family home does have about the same expenses as what you pay to a Condo association. But you have your own pool, usually more space and privacy with less amenities than many communities. Just to clarify. We are able to rent during spring season, even with monthly restrictions. However in order to maximize ROI, we also suggest renting during summer. At that time, weekly rentals are the key to success. If your aim is a high ROI, steady cashflow and an almost immediate revenue stream, then the annual rental approach is the better way to go. It provides stable income allowing you to plan ahead. The tenant is taking care of the utilities and usually there is not too much maintenance required. Actually, any property should be in a good area and be functional. It does not need to be “nice”, it needs to have substance, a good ROI and be functional. Don’t get me wrong, we are not talking about Slumlordship. Good upkeep is essential for any tenant and we are proud of all properties. Since we want to keep good tenants, we suggest being a nice landlord. The property itself must be functional though. With an annual lease in place you won’t be able to use your property for yourself when you come down for vacation. Any vacation rental can be converted to annual rental later on (even if it is not ideal), the other way is usually not feasible. Vacation guests expect certain amenities like a pool which you want to avoid in an annual rental if possible (just more expenses not increasing ROI). Our experience shows the lower the price range of the rental home, the higher the ROI will get. Additionally, you’ll have less unexpected maintenance expenses. So it may be single family homes, duplexes, tri- or quadplexes. The size depends on your budget and supply. The ROI for long term rentals decreases significantly the higher the homes are priced. So forget the mansion as well as the cute waterfront house for that approach. Your ROI won’t pay off. It might be a good vacation rental though. We also do not recommend Condos for this kind of investment. HOA fees are outside our scope of influence and can eat up much of the profit. Our sister company Sea to Sky Investments handles long term rentals for our Sea to Sky Realty sale’s clients. No need to worry, we find the tenants, collect rent and do what is needed to make you and the tenant happy. Since there is less work involved for us, our fees for long term rentals are lower as well. Annually rented duplexes and triplexes for example, bring in around 10 – 15% gross income. After taxes, fees, insurance and budgeting for repairs / investments, we come to net 7 to 11% ROI. Plus any appreciation in value over time. If you already have a home here and are looking for more real estate: It’s your choice. –> Buy with us! We’ll find you a place you will like and get a reasonable ROI. However don’t blame us for a property you already have, with rental restrictions in place or other issues. I bet we wouldn’t have recommended that to you. But we can help you find the right one.